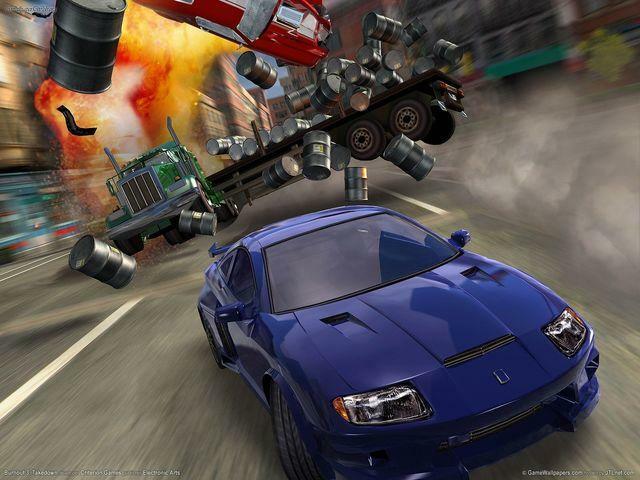 EA put out a remaster of the fan favorite racing game Burnout Paradise recently to widespread applause from the series’ fanbase. Long seen as a victim of a crowded market, Burnout tore through video game critics charts with hit after hit under the tutelage of Criterion Software before finally being pushed aside by EA’s other, more financially successful series, Need for Speed. Burnout Paradise is regarded as a perfect bridge between EA’s two premier racing franchises, blending the open-world tendencies of the Need for Speed games at the time and the hard-hitting, trailblazing chaos of Burnout. …and yet, Burnout Paradise is a far reach from the best that the series has to offer. 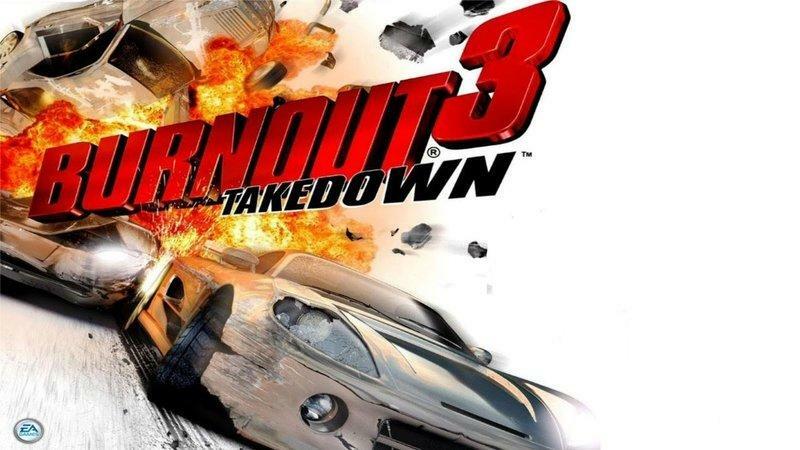 Sorry, but the one and only Burnout 3 Takedown is still lightyears better than any other game in the series, and it still ranks among the absolute best, if not the best, racing game ever made. Now, that’s quite a declaration to make about a racing game that is nearly 15 years old. I mean, since then, the racing genre has come quite a long way thanks to the bells and whistles of modern day video gaming. It’s never been easier to jump into a virtual car and race against your friends, compare track times, and show of your sick, customized wheels. Technology has also come so far that you can race across maps that span the entire continental United States in some ridiculous multi-hundred person MMO-sized circuit. Graphics are more realistic than ever, simulators have become more accurate than previous could possibly allow. And yet, still, nothing comes close to Burnout 3 Takedown both thanks to what it can do and what it can’t do. I understand the applause that Burnout Paradise received when it came out in 2008. Open world was still a new and flashy premise that had worked in the shooter and the RPG genres, but nobody had yet conquered a truly off-the-rails racing playground at that point. Criterion boldly stated it had been their dream to create that experience: a rip-rolling racing game with that same penchant for high octane, paint-trading that Burnout had gathered by that point set in a world with no loading screens and a new challenge waiting at every spotlight. I remember completionists going mad looking for billboards to jump through and insane stunts to pull off. Racers made friends online and somehow found them in the urban jungle of Paradise City. Rival cars would swoop in and steal your ride if you weren’t careful. In 2008, it was a dream come true. However, both looking back and considering my feelings towards video games now, it’s all the more obvious why Burnout Paradise never clicked with me. I simply can’t stand that approach to open world design. I struggle with it in Breath of the Wild, chugging my way between destinations on opposite sides of Hyrule. I loathe having to trek between missions in Grand Theft Auto or whatever the latest Ubisoft tower-climber is. Buzzwords like “discovery” and “exploration” don’t mean much to me anymore. Like most of its open world brethren, Burnout Paradise ultimately fell short for me because sifting through its excess to find what I really wanted from the experience became all the more frustrating. Open world made simple racing frustrating. I hated losing a race and having to drive halfway across the map to try it again. I hated missing a billboard by inches and having to backtrack and drag myself into the proper position once more. The feel, the control, and the balance are all in place for Burnout Paradise being an excellent racer, but I played it just wishing I could race without tacked on objectives tearing me in thirty different directions. I constantly found myself thinking that I had bought a racing game, but all I was accomplishing was generic tasks other sandboxes offered. The only difference was that I was in a car. This is where Burnout 3 Takedown succeeds in what it doesn’t set out to do. It doesn’t lure you astray with side goals. It doesn’t dangle distracting keys with promises of unlockable cars, decals, completionist fodder, achievements or trophies. It doesn’t try to be Skyrim or Red Dead Redemption or whatever open world hybrid genre is the latest to crawl from the woodworks. It’s just a racing game. You win races, you move onto the next race. Maybe you unlock a car. Cut and dry… so perfect. 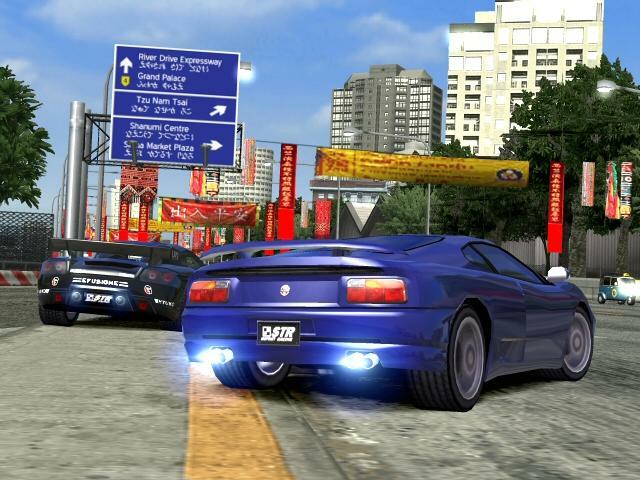 And it just happens to be one of the finest racing games ever made. You want to do a certain race and improve your time? It’s no more than a menu screen away. You won’t have to drive halfway across a map and navigate complicated, crowded city streets to find your favorite tracks, nor will you be forced to find a garage or a pit stop every time you want a new car. As said before, it’s all right there for you in a sleek menu system designed to get you to what matters most as quickly as possible. 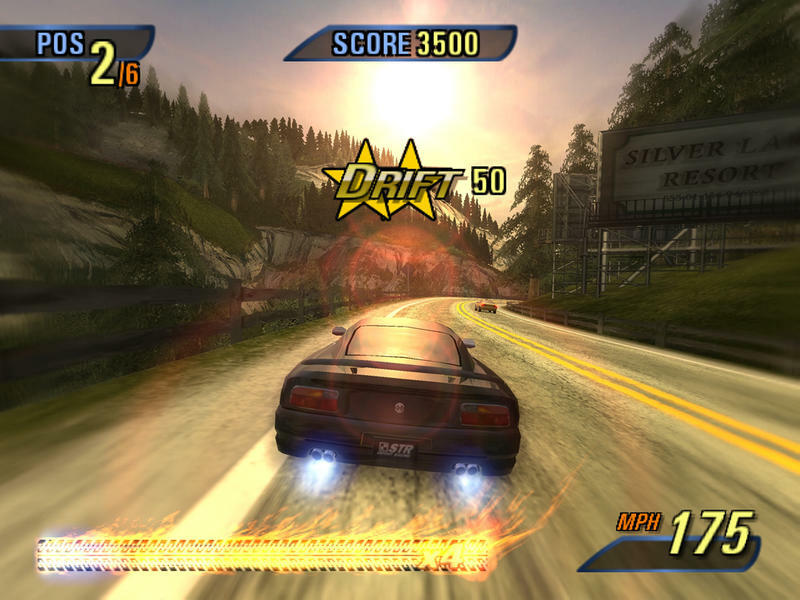 Games like Burnout Paradise came out at a time when HD was booming and excess content was in style. Gamers demanded huge maps to satisfy their growing ambitions their gaming experience, and it was a racer that rose to the occasion. However, it was also a product of its time, a game with solid gameplay surrounded by loads of fat that weighed and slowed down its core. As gaming begins a shift to downsize once again, cutting down on this fat thanks to eSports, indie games, and pick-up-and-play multiplayer titles, it is games that have very little of the excess that will survive the test of time. And that is Burnout 3 Takedown, a game that gets you to what you really want as quickly as possible. 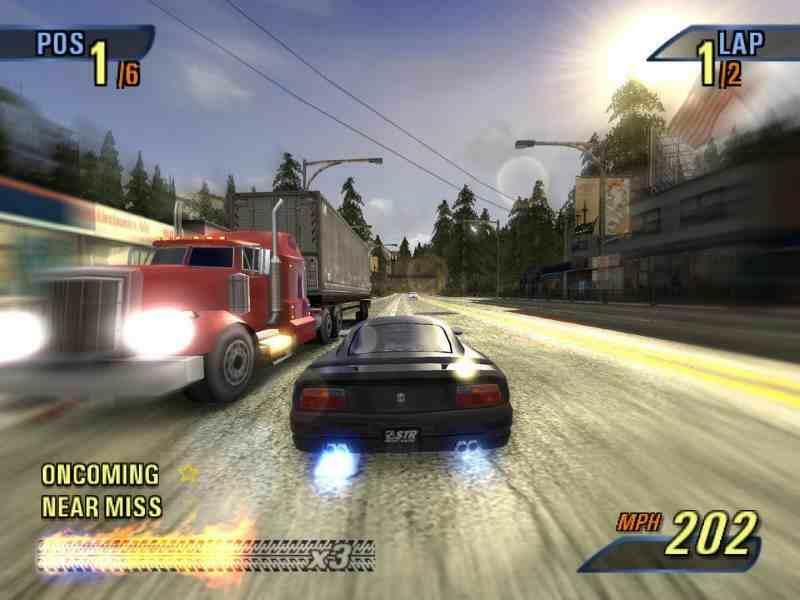 As for what Burnout 3 Takedown does, you’ll only have to take a glance at the game’s universal praise and adoration it gets from fans to this very day. Countless fans say they would love to dive into this flawless bit of arcade racing again in the flash of an eye. We’re not sure what was in the water at Criterion when it balanced out this game’s pristine controls or its risk and reward system of racing dangerously for speed boosts, but it helped them create one of those few perfect games in history that simply works on all levels and achieves everything it sets out to do. 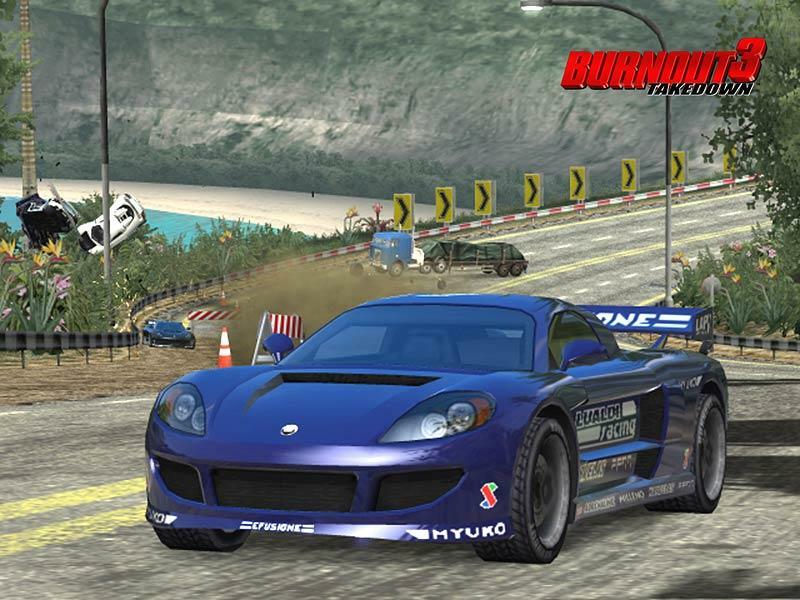 I’m aware that most players only play racing games in a multiplayer setting anymore, but give Burnout 3 Takedown’s single-player campaign a chance. You’ll find there is plenty to learn and plenty to walk away with in this “easy to play, difficult to master” experience. 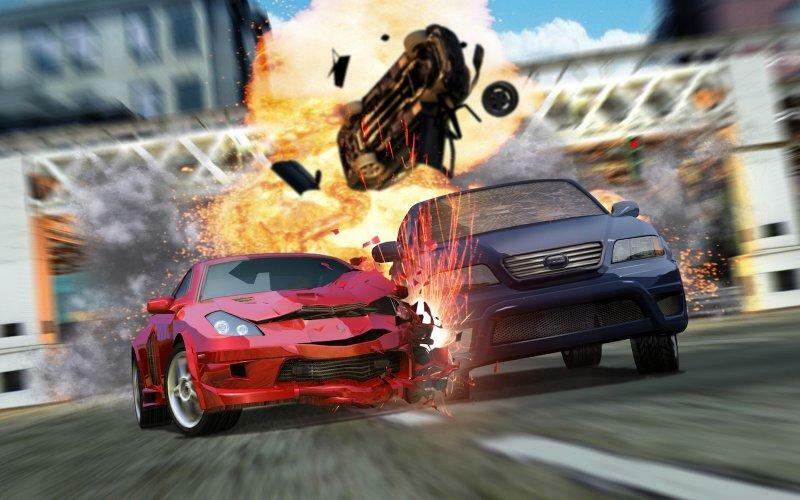 And if the racing isn’t enough for you, well, there is always Burnout 3 Takedown’s classic Crash Mode, which is only the most exciting dose of carnage and clashing metal you’ll ever find in a video game. Burnout 3 Takedown is one of the few racing games that finds a balance between the subtle mechanics of a fun arcade game and the rip-rolling sensation of top speed, and even if you’re picking it up for the first time in a decade or playing it for the very first time, I guarantee that you’ll be blown away after two or three hours with it. Technology has improved video game physics, and graphics nowadays make cars look more realistic than ever. However, even in the face of these changes, Burnout 3 Takedown is one of those games that will never age and never fail to impress. I’m all for the likes of Nintendo’s franchises, 16-bit Square Enix, turn-of-the-millennium BioWare and Black Isle Studios, or Rockstar and the Grand Theft Auto games achieving immortality, but the racing genre is never one I really considered to have “classics” or that era you’ll always want to go back to. Some many companies want a piece of the racing market, and over-population means nothing can find a permanent foothold. It’s also a genre that consistently evolves, leaving successive releases obsolete when the latest and flashiest title comes around. 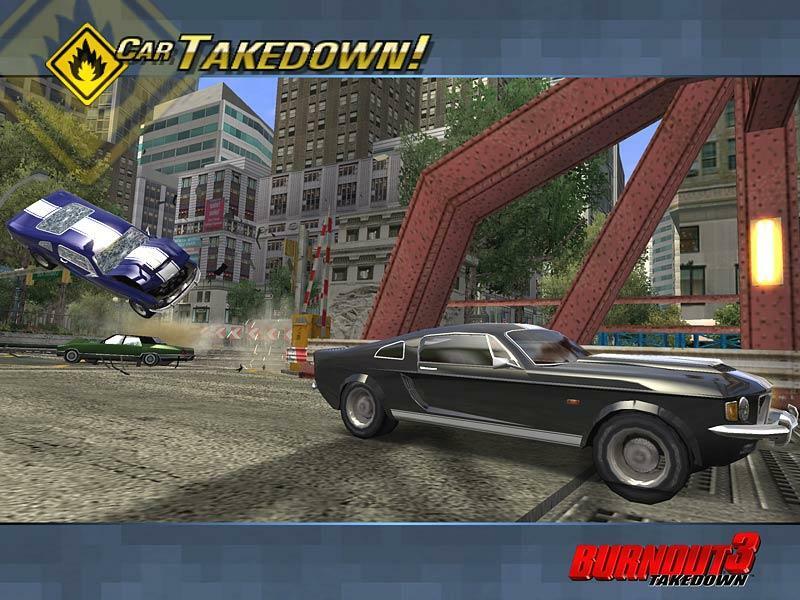 However, Burnout 3 Takedown is one of the rare exceptions to this rule and perhaps the closest to a classic racing game you’ll ever find. If you’ve never played it, seek it out. I doubt we’ll get a remaster anytime soon, but this is one racing title you don’t want to see fade into history.